Let Lady Luck charm you – on Gaminator! Lucky Lady’s Charm™ turned into a legendary classic of the genre in record time after release. Bars, clubs and both offline and online casinos couldn’t afford not offering this game to their patrons. Now you get to play the deluxe version for free on Gaminator! Lucky Lady’s Charm™ deluxe scatter symbol is the glowing Christal orb. Get three of them to win 15 free spins with a triple winning bonus. The winnings of the free spins are based on your last bet. The gorgeous Lady of the Lucky Lady’s Charm™ deluxe game is the joker and will substitute for any other symbol on the reels. Charming is the best way to describe this Vegas slot! Charming truly is the best word to describe this slot machine. We have all the empirical data to know this machine is popular with all players, not in the least because of the detailed, carefully animated win symbols and overall ambiance – certainly huge payouts are a contributing factor, too! Millions of players keep her reels spinning every day, not just on Gaminator! If you have played other slot games developed by Novomatic, then Lucky Lady’s Charm™ deluxe will require little to no getting used to. Win symbols scatters and bonus games are explained in the paytable, accessible via the button at the bottom of the screen. Across five reels and along up to ten win lines (which you can freely turn off and on before every round!) you are charged with aligning with as many symbols as you can. Letters comprise the first tier of win symbols, their stake multiplier is the lowest in the game, yet five of a kind can still net you a nifty bit of cash. Rabbit’s foot and ladybugs are not just nifty looking and animated, they also reward you with considerably more money as long as you score at least three of them along an active win line. Golden coins and four-leaved clovers clock in on about the same tier, but definitely, need five in a row so you can consider yourself lucky. 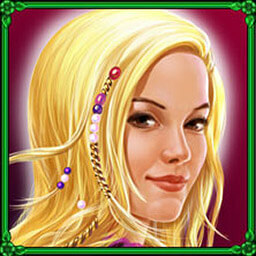 Lucky Lady’s Charm™ deluxe is the game to play on Gaminator! 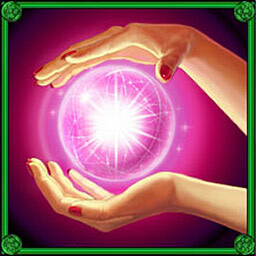 A pink orb held by two hands is the crystal ball symbol, acting as scatter in Lucky Lady’s Charm™ deluxe, its payouts clock in between clovers and ladybugs, but more importantly: the crystal ball triggers free spins for you, which you can enter directly after the round ends. During those free spins, a random symbol can be picked as a bonus symbol, taking over spaces on the reels and increasing your chances for an even bigger prize – since all winnings occurring during free spins are multiplied by three! That’s not everything by the way. Should score too few balls to trigger free spins, then you are still not out of luck – all win combos including scatter symbols are multiplied even further! Gaminator is the new social casino gaming community on the web, completely redone and mobile-ready. No matter if you are visiting on your desktop, your tablet or your mobile, all our slots and casino games are tested and continuously updated to ensure you get the best of everything: the best games, the best quality, all features and of course the best payout rates anywhere. With our guaranteed – and independently tested – RTP (return-to-player rate) of at least 95% across all original Novomatic slots, you are bound to find your new favorites among our huge portfolio.